Via Luke Coppen we learn that Westminster Cathedral is celebrating its centenary. As part of the centenary celebrations, a ‘Treasures of the Cathedral’ exhiibition has been organized which will display vestments, church plate and other precious items in the cathedral's treasury. 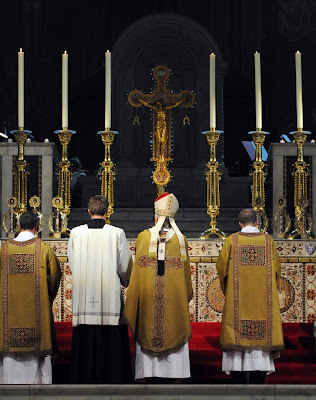 A Mass of Thanksgiving was recently offered by Archbishop Vincent Nichols in Westminster Cathedral.